It’s a knapsack. It’s a blanket. It’s a space for belongings. It’s a chair. The concept behind the Nordic Nomad Chair is more about liberating oneself from societal trappings rather than leisure outings, its stylish design more than justifies it as an exceptional tool for any camping trip. 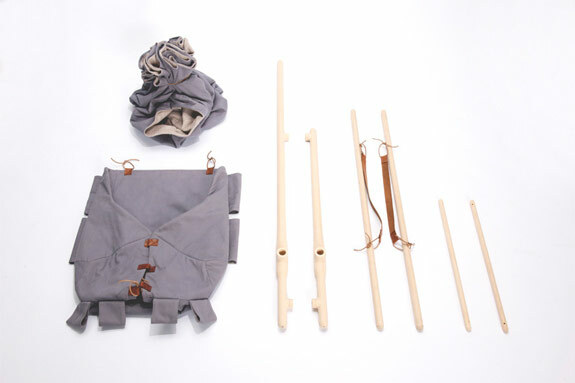 Bjarke Frederiksen’s creation is an elegant version of a knapsack on a stick. Only this transforms into a chair with storage. The chair has three distinctive functions, sitting, storing, and walking. 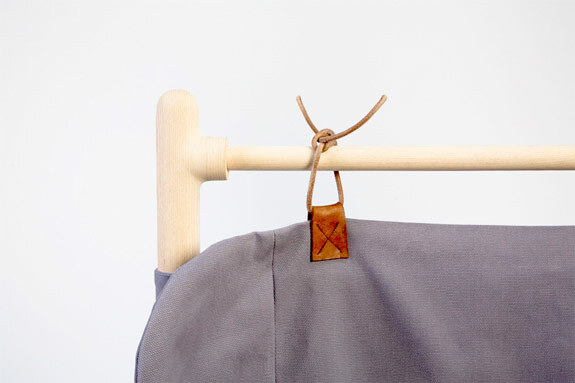 Every piece has a dual purpose. The leather straps hold the chair together and is also used as shoulder straps when it’s collapsed. 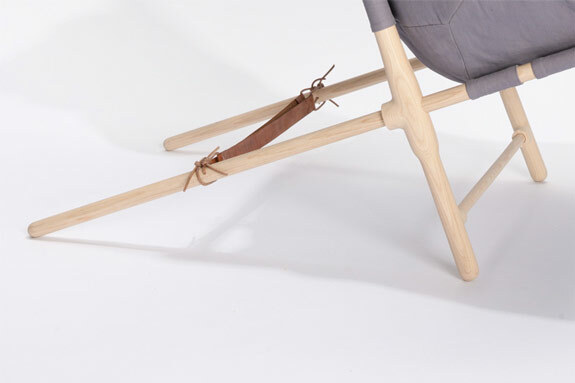 The longest pole doubles as a walking stick while the seat transforms into a backpack with additional storage space. Unfortunately the chair is only a prototype and has not been mass produced for the general public. But with enough interest, we may soon see this manufactured. The static construction is made from solid European ash, treated/finished with soap. The blanket/knapsack is made in a 100% cotton panama-woven canvas in gray-purple + a 100% woven wool in bright heather ’Scandinavian’ gray, beige and brown tones. The laces and straps are in a light brown leather. Bjarke is currently enroled at The Royal Danish Academy of Fine Arts – The School of Design, where he studies at the department of Furniture and Spatial Design. I like the helpful info you provide in your articles. I’ll bookmark your blog and check again here regularly. Best of luck for the next.